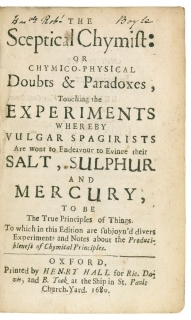 or Chymico-Physical Doubts and Paradoxes, Touching the Experiments Whereby the Vulgar Spagirists are Wont to Endeavour to Evince Their Salt, Sulphur and Mercury to be the True Principles of Things. To which in this Edition are subjoyn'd divers Experiments and Notes about the Producibleness of Chymical Principles. 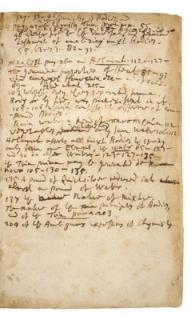 Notes: 'The importance of Boyle's book must be sought in his combination of chemistry with physics. His corpuscular theory, and Newton's modification of it, gradually led chemists towards an atomic view of matter ... Boyle distinguished between mixtures and compounds and tried to understand the latter in terms of the simpler chemical entities from which they could be constructed. His argument was designed to lead chemists away from the pure empiricism of his predecessors and to stress the theoretical, experimental and mechanistic elements of chemical science. 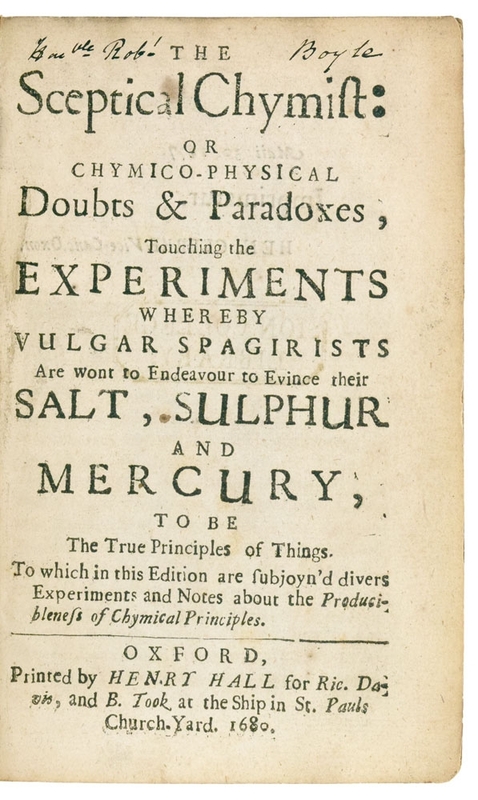 The Sceptical Chymist is concerned with t...more'The importance of Boyle's book must be sought in his combination of chemistry with physics. His corpuscular theory, and Newton's modification of it, gradually led chemists towards an atomic view of matter ... Boyle distinguished between mixtures and compounds and tried to understand the latter in terms of the simpler chemical entities from which they could be constructed. His argument was designed to lead chemists away from the pure empiricism of his predecessors and to stress the theoretical, experimental and mechanistic elements of chemical science. The Sceptical Chymist is concerned with the relations between chemical substances rather than with transmuting one metal into another or the manufacture of drugs. In this sense the book must be considered as one of the most significant milestones on the way to the chemical revolution of Lavoisier in the late eighteenth century' (PMM). 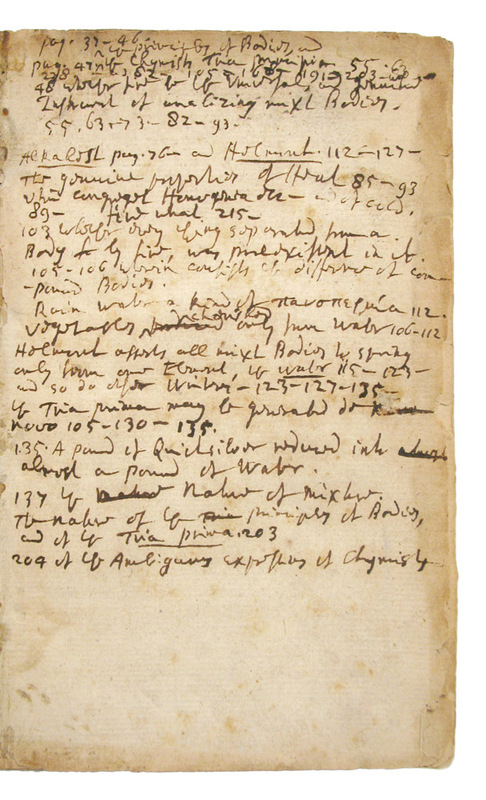 In Experiments and Notes about the Producibleness of Chymicall Principles 'Boyle undertook to show that many of the substances best qualified for the title elements could, in fact, be produced by transmutation from a variety of other elementary starting materials. And he considered this an important demonstration because: "If the bodies they call principles be produced de novo how will it be demonstrable, that nature was obliged to take those principles made ready to her hand, when she was to compound a mix't body?'" (Kuhn p. 28).